Had regimental football history played out a little differently, we might be reminiscing about the unfortunate loss to the Scottish game in the 1960s of the 23rd Renfrewshire Rifle Volunteers, the 3rd Edinburgh RV or the 10th Dumbarton RV. In the formative years of the Scottish game new clubs with origins in the citizen army Volunteer Force were quite commonplace, but none came close to the impact or the longevity of the Third Lanarkshire Rifle Volunteers. As military links loosened in time, the club would become more commonly known as Third Lanark – or by their nickname of the Hi-Hi – but that distinctive regimental background remained an enduring part of the club’s quirky identity throughout its 95 year history. The club was formed in 1872 and played a pioneering role in the early days of organised football in Scotland. The Thirds were founder members of the Scottish Football League, first proposed and part-funded the Glasgow Charity Cup and became one of the first Scottish teams to tour Europe and South America. By the turn of the twentieth century Third Lanark was firmly established as Glasgow’s third club and enjoying a period of great success on the field. The First Division title was won in 1904 and their second Scottish Cup success followed a year later in dramatic fashion. Third’s striker Hugh Wilson had returned home from Sunderland and he scored two brilliant goals in a famous 3-1 replay win over Rangers. Third Lanark’s famous Cathkin Park ground originally hosted Queen’s Park and when the Spiders moved over the hill in 1903 to a new site where the modern-day Hampden stadium still stands, Third Lanark bought the vacated ground which would become their home for the next 64 years. It took several years of work to prepare New Cathkin Park (the New was later dropped) for hosting games, so Thirds had to ground share over the hill with Queen’s Park for the duration. That 1904 title win was all the more laudable considering every League game was technically played away from home. Third Lanark remained a strong First Division presence for decades with a good reputation for playing open and attacking football. Football-mad Glasgow crowds flocked to see them and a record attendance of over 45,000 squeezed into Cathkin for a Scottish Cup tie against Rangers in 1954. As late as 1961 the Hi-Hi left Celtic in their wake with a third placed League finish. This was an entertaining, free-scoring team and their last-day 6-1 hammering of Hibs took them past a landmark total of 100 League goals for the season. It would be the last year Thirds fans had anything to celebrate. The villain of the piece ultimately responsible for the demise of Third Lanark was Bill Hiddleston, a glass-merchant involved with the club for a decade before taking control of a majority shareholding in 1962. Hiddleston was something of a comic-book creation rendered in skin and bone; an exaggerated grotesque, a blustering amalgamation of every negative stereotype you have ever read about dodgy football club directors: corpulent, cigar-smoking, bombastic, petty, penny-pinching, greedy, corrupt and laden with bountiful self-regard. His calamitous reign actually started positively enough as he financed the construction of a new stand in 1962, but it didn’t take long to realise he was conducting a concerted campaign to force the club out of business so he could sell the valuable land on which Cathkin Park stood for development. The next few seasons for the ailing club were more music hall than football as this once-proud institution was brought to its knees by the relentless cost cutting of its owner. The players who had not been sold off for transfer fees were paid in coins from the turnstile takings, away teams brought their own soap and light bulbs for the dressing room and Hiddleston even tried to get round a League rule obliging a club to use a new ball for every home match by painting old ones white. Players added turpentine to their post-match bath to shift the paint marks picked up from heading still-wet balls. The demoralised Third Lanark squad would muddle around evening training in the dark as Hiddleston turned off the floodlights to save money, a tragicomic allusion to the dark days the club were enduring. Former captain and boyhood fan Mike Jackson joined the Thirds in February 1964 and he spoke decades later about how bad things got: “I’ll always remember one of our players breaking his arm at Clydebank and Hiddleston telling me to accompany the boy to hospital in the ambulance. His last words were ‘when you get to the hospital make sure to tell the doctors to lift the effing jersey over his head and not to cut the sleeves, for we’ll need it next week’. Can you imagine it?” When Jackson later asked for a transfer, Hiddleston threatened to have him ‘sorted out‘ and ‘done in‘ for his temerity. The player burst out laughing at the sheer buffoonery of the man. Relegated from the First Division in 1965 after just three wins all season, the financially stricken club would trudge on for just two more years. Their final game was a thumping 5-1 defeat at Dumbarton on 28th April 1967 and within weeks the club was pronounced bankrupt with debts of £40,000 and liquidated. An inquiry by the Board of Trade resulted in the prosecution of four directors – one of them a local Labour councillor – and Hiddleston accused of blatant corruption that merited a police enquiry. He had sold Cathkin Park to developers subject to planning permission, but the application to build housing was denied and the site would eventually return to public ownership. He wasn’t as smart as he thought he was. Hiddleston did evade answering the mounting charges against him only because he died of a heart attack in Blackpool, just seven months after Third’s last game. When Third Lanark disappeared from Scottish football in 1967 the club was placed as Scotland’s 11th most successful in terms of top flight points won. To try to put this loss to the broader Scottish game into wider perspective, imagine if clubs of equivalent historical stature in other countries – West Bromwich Albion in England, Bayer Leverkusen in Germany, Sampdoria in Italy or Deportivo La Coruna in Spain – were suddenly lost to their respective Leagues tomorrow. On a personal note, Third Lanark might have drifted out of existence before I was even born, but in my childhood years I lived just 20 minutes walk from Cathkin Park and have happy memories of kicking a ball about with friends on the same pitch the greats of the Scottish game had shown off their skills to huge crowds just a few decades earlier. In much more positive news, Third Lanark Football & Athletic Club has reformed in recent years and is run by a small Committee of dedicated ‘Thirds Men’ made up of former players, club historians, fans and businessmen. The new club is totally committed to returning Third Lanark to the senior ranks of Scottish football once more and restoring Cathkin Park as a professional sports venue again. 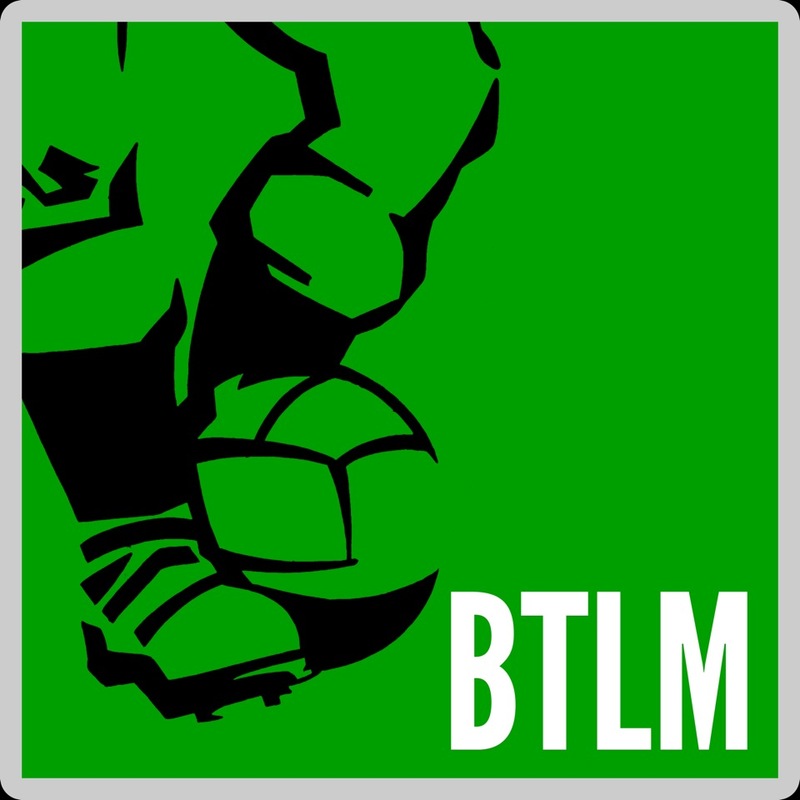 BTLM wishes every success to the fortunes of the new club. Please visit their website and give them your support too. Great article. I’m the same, Third Lanark were gone before I was born, but I’ve always missed them. Does that sound daft? A team so redolent of a lost age of Scottish Football, something definitely died in the game in 1967 when they went, ironically when Scottish football was at its zenith. And let’s not forget that they are the only former Scottish division one champions to have disappeared. A painful loss. Absolutely. The strength of Glasgow football for me was never about how good Rangers or Celtic were at any one point. A city’s football is only truly vibrant when it can sustain a number of clubs of different sizes, all of whom matter in their own way and all whom have added something to the nation’s football history. Glasgow had six valued clubs as late at the early 1960s but the loss of Thirds, the huge decline of Clyde & the partial decline of Thistle and Queen’s Park destroyed the fabric of Glasgow football. That would be a nice use of such a windfall!